It seems to me a bit sneaky of Paul not to put his cards flat on the table and admit that that is precisely his meaning here, if that is his meaning. Of course it would open him wide up to the charge of supreme hypocrisy for having accepted hundreds of thousands of dollars over the years of “unjustly acquired” income as a representative to the Congress from his district in Texas. Perhaps he might argue that this injustice he participates in is excusable given that the society that rewards him so well fails to follow his principles of a free society and is, thus, beyond the reach of libertarian justice anyway, so what the hell? Perhaps he understands his principles to be for a utopia, not for a practicable society? Or perhaps–and maybe this is the best explanation we can hope for–Paul believes that government is, at some level, just, that is, that it has some social utility and a need to be well designed. This would imply that he might view at least some government property as justly acquired, unless he naively believes government needs no property to operate, whatever those operations society decides it needs from government might be. Again, I would very much appreciate the help of Paulists or libertarians with these, to my mind, very self-contradictory ideas. This entry was posted in Politics, The Ten Principles of a Free Society and tagged Anarchism, anarcho-capitalism, capitalism, Freedom, government, justice, Libertarianism, property, Rights, Ron Paul, socialism. Bookmark the permalink. 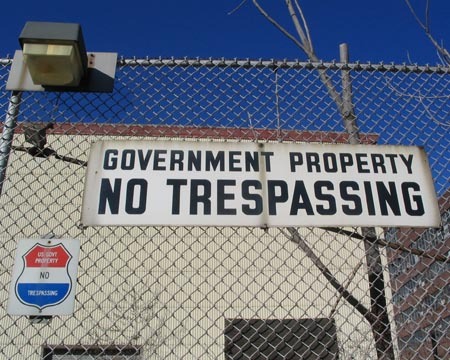 ← Is Private Property in America Ever Justly Acquired?